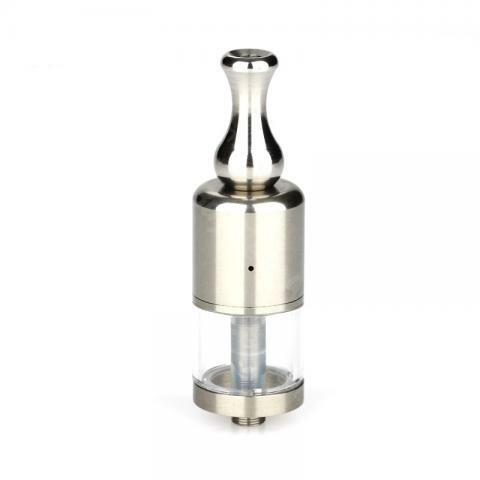 SMOK RSST RDTA Atomizer - 3ml, the newest Genesis Rebuildable Dripper Tank Atomizer with Pyrex Glass Tank tube. • Remove the top cap. • Loosen the ground screw. • Feed wick through the hole. • Notice: Rebuildables are for experts, not average or beginner vapers with no multimeter or knowledge of how to use a meter, or when a meter must be used, or how electronic devices work. These materials cannot safely be used by the inexperienced or those without basic knowledge of electronics. I recommend this seller and product! I'm satisfied with this RDTA. Das SMOK RSST RDTA ist besonders, gut. Shipping was quick, the RDTA is the same as description.